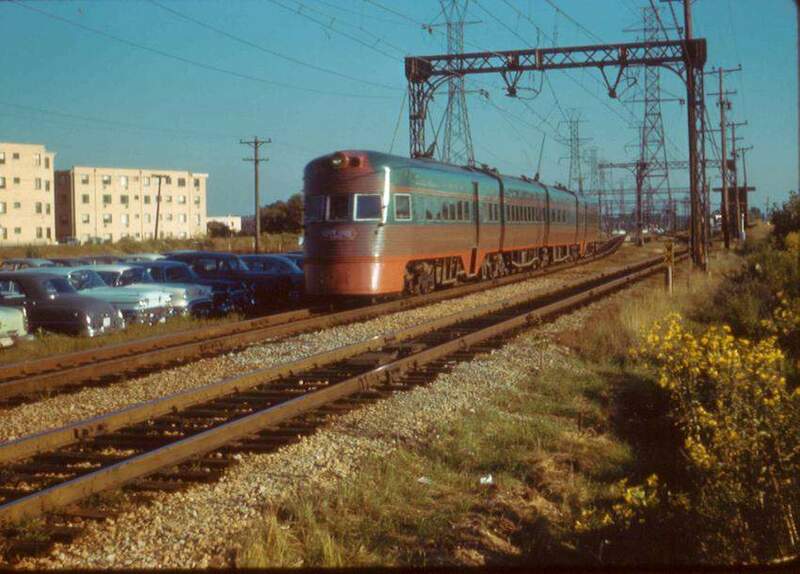 CNS&MRR ELECTROLINER @ DEMPSTER ST. SKOKIE VALLEY ROUTE. Photographed by FRANK PFUHLER, September 12, 1958. Added to the photo archive by Frank Pfuhler, June 6, 2004.